Removes thick grease, dirt & bacteria from all hard surfaces by just using water. Brilliant on stainless steel, worktops, baths and glass. 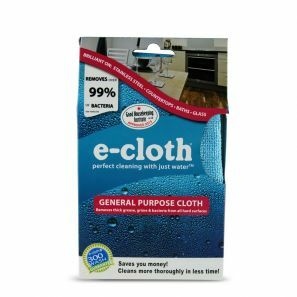 By combining e-cloths unique fibre technology with water they break up and hold grease, dirt and bacteria which normal cloths leave behind.